Emily Blake Collins is a 2007 graduate of Faulkner University with a Bachelor of Arts degree in Fine Arts. She earned her Juris Doctorate in 2013 from the Thomas B. Goode Jones School of Law. 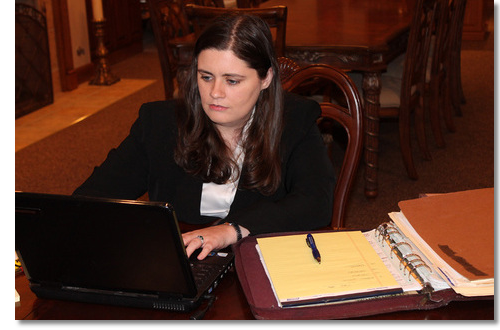 While a student at Jones School of Law, Mrs. Collins served as an editor as the Faulkner Law Review and was the school’s representative to the American Bar Association’s Mediation Competition. She also served as an intern with the One Place Family Justice Center, the State of Alabama Attorney General’s Office, and the Alabama Court of Criminal Appeals. Mrs. Collins is licensed by the Alabama State Bar to practice law throughout the State of Alabama in all courts, including the State of Alabama Supreme Court, the Court of Civil Appeals and the Court of Criminal Appeals.